Food was a critical front in the Cold War battle for Asia. 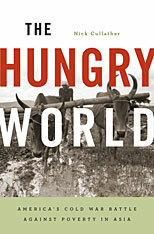 “Where Communism goes, hunger follows” was the slogan of American nation builders who fanned out into the countryside to divert rivers, remodel villages, and introduce tractors, chemicals, and genes to multiply the crops consumed by millions. This “green revolution” has been credited with averting Malthusian famines, saving billions of lives, and jump-starting Asia’s economic revival. Bono and Bill Gates hail it as a model for revitalizing Africa’s economy. 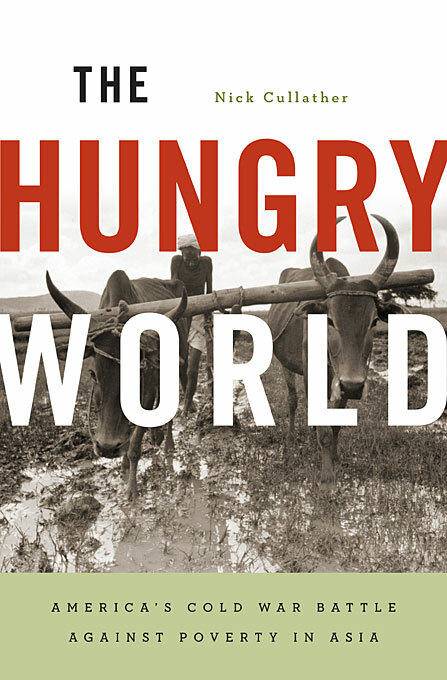 But this tale of science triumphant conceals a half century of political struggle from the Afghan highlands to the rice paddies of the Mekong Delta, a campaign to transform rural societies by changing the way people eat and grow food. The ambition to lead Asia into an age of plenty grew alongside development theories that targeted hunger as a root cause of war. Scientific agriculture was an instrument for molding peasants into citizens with modern attitudes, loyalties, and reproductive habits. But food policies were as contested then as they are today. While Kennedy and Johnson envisioned Kansas-style agribusiness guarded by strategic hamlets, Indira Gandhi, Marcos, and Suharto inscribed their own visions of progress onto the land. Out of this campaign, the costliest and most sustained effort for development ever undertaken, emerged the struggles for resources and identity that define the region today. As Obama revives the lost arts of Keynesianism and counter-insurgency, the history of these colossal projects reveals bitter and important lessons for today’s missions to feed a hungry world.